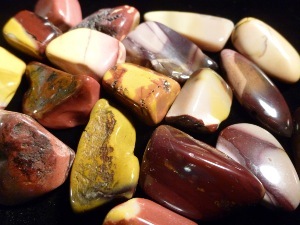 Mookaite Jasper is said to provide a useful balance between inner and outer experiences. It may impart both a desire for new experiences and a deep calm with which to face them. 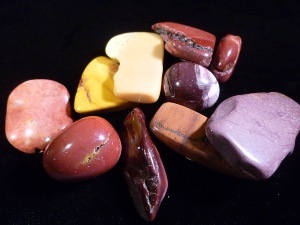 Mookaite is said to be a physically stabilising stone that may fortifies the immune system, heals wounds, and purifies the blood. 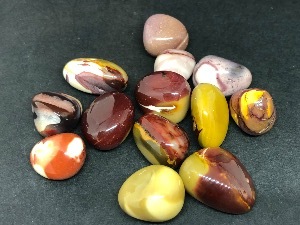 Mookaite - 1 cm Tumbled Stone.